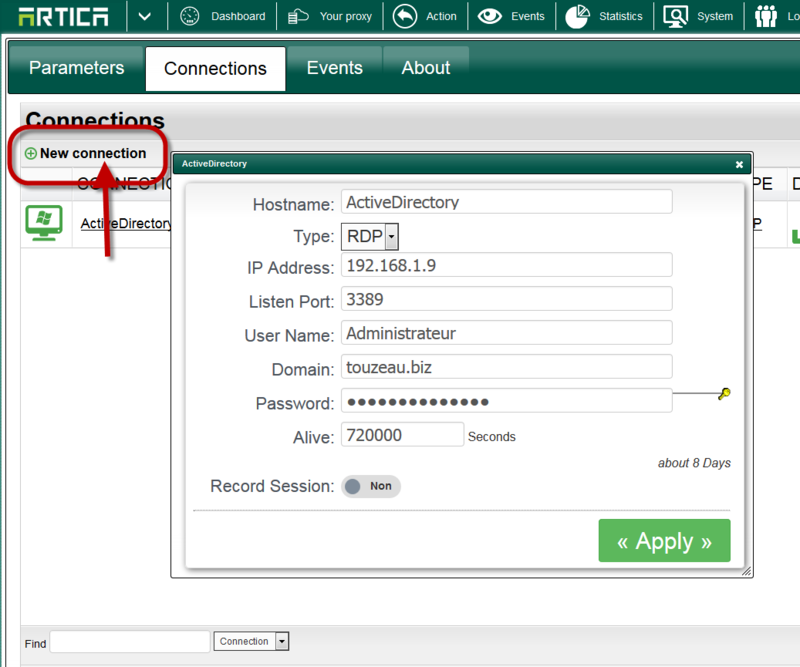 RDP connections can be defined in the connections tab. Click on new Connection in order to create a session. 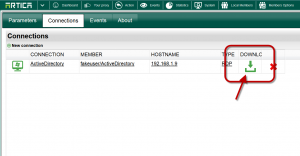 Hostname: The connection name OR the hostname of your target TSE server. IP Address: The destination IP address in order to make the tunnel to the TSE service. Listen port: The listen port of the remote TSE service. 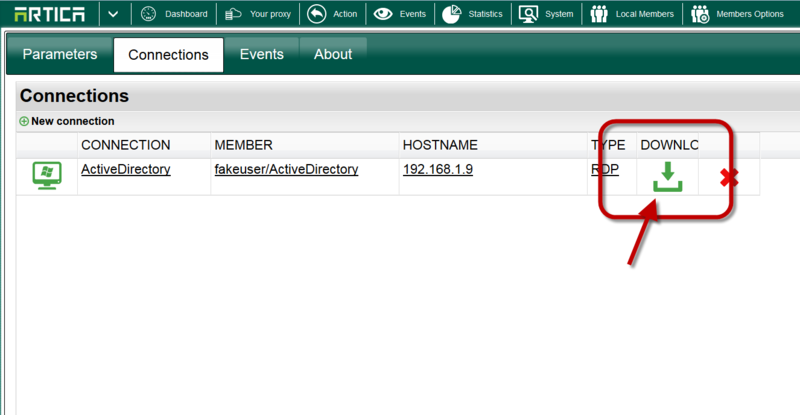 User name: User name that will be send to the TSE service and used to authenticate the user. User can be different and not exists in the TSE service. 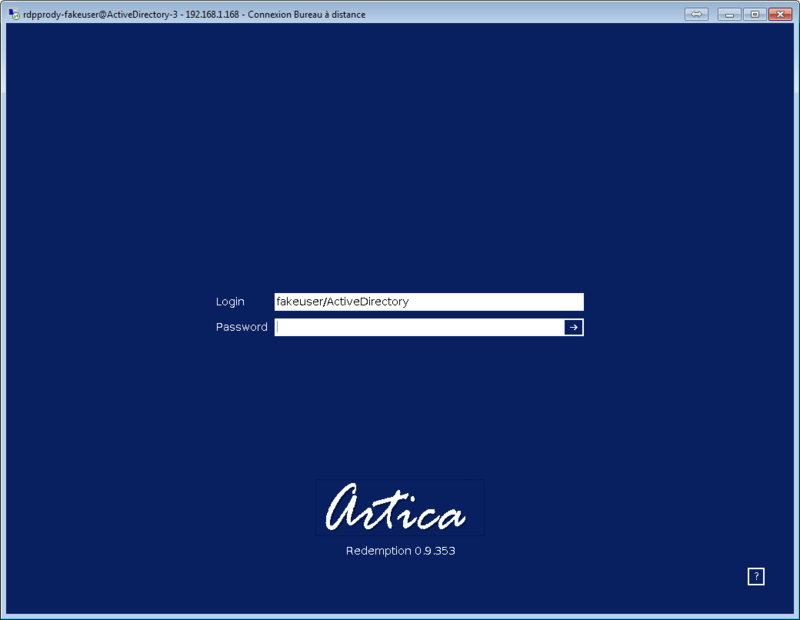 If it is diffrent, the user must set the correct user name inside the TSE session. Password: must be set, the password that will be send to the TSE service and used to authenticate the user. password can be different and not exists in the TSE service. After creating your rule, click on the arrow under the download column. Your TSE client will establish a connection on the proxy. You have to login to the proxy first with the user name and password defined in the connection in order to access to the remote TSE service.